Paper or cardboard are the cheapest materials available and the easiest ones to deal with; they are always at hand and even your kids can craft of paper without any help. 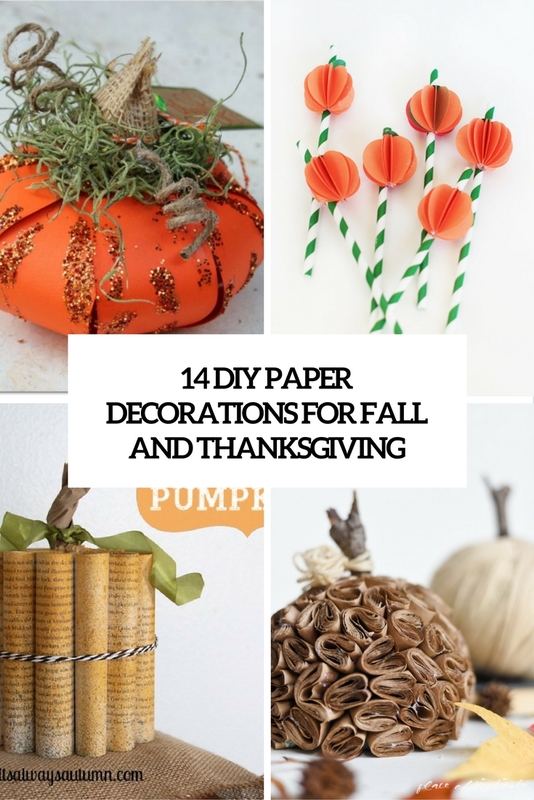 That’s why today I’d like to share some ideas for crafting of paper, and these crafts are dedicated to fall and Thanksgiving. The first craft is a unique pumpkin: it’s made of old book pages, which give it an original and eye-catchy look. 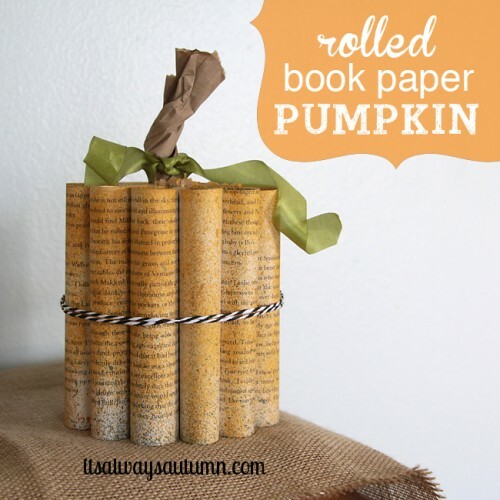 the book pages are folded, attached to make a pumpkin and tied with yarn. Add a piece of paper to imitate a stem and maybe a paper leaf. 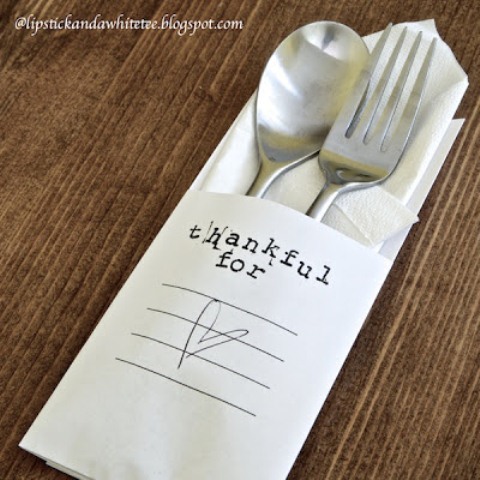 This easy craft is perfect for Thanksgiving, just print out the words you need and then fold the paper sheet to get a pocket for utensils. So easy! Orange and green paper are nice materials for crafting for the fall. Cut out pumpkins of them and add green stems, then string them to get a garland. 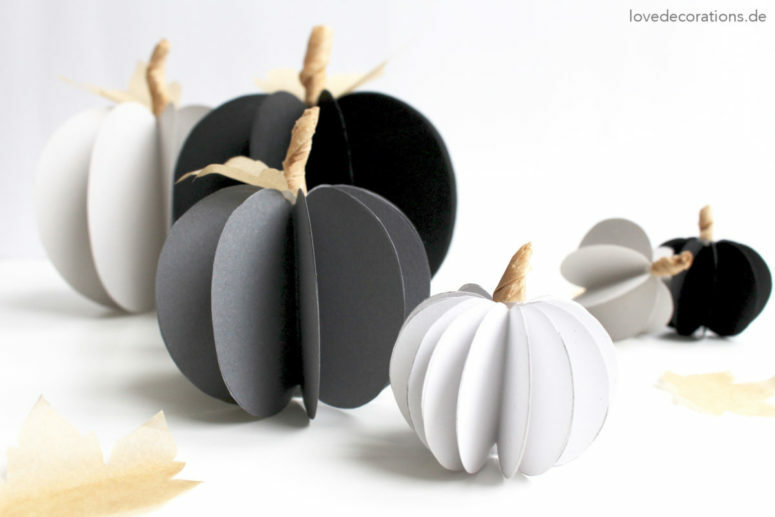 These modern paper pumpkins are very easy to make, call your kids to help you! 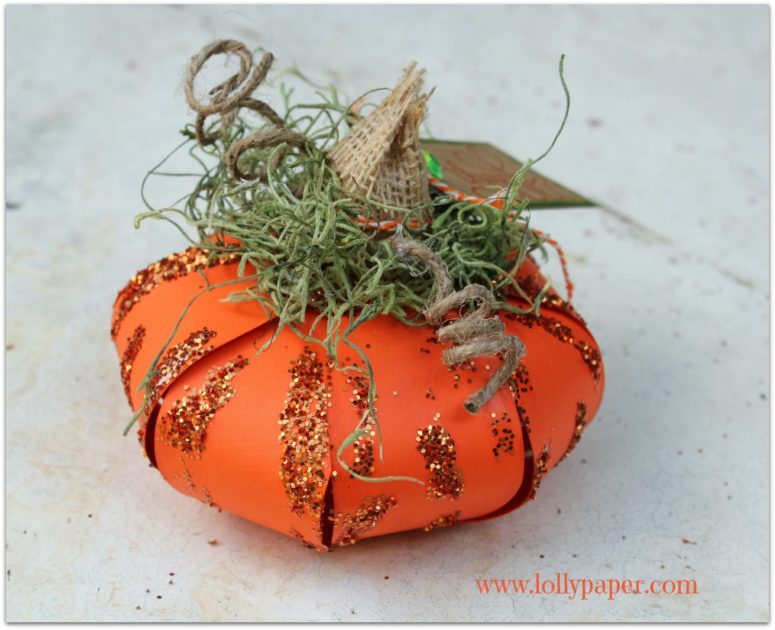 Take paper in the colors you like and attach halves to each other to form pumpkins. Add stems of paper and leaves. Read the instructions to find out how to make these voluminous pumpkins. 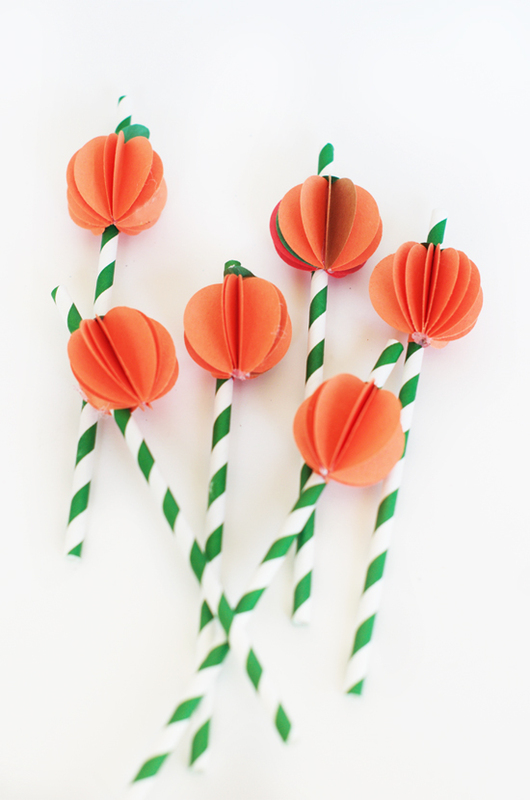 Pumpkin straw toppers are ideal for the fall and Thanksgiving. Use a punch to cut some orange circles, then glue them to each other and put on straws. Serve tasty drinks with these straws! Branches with leaves are a cool decoration for the fall but leaves can fall down. 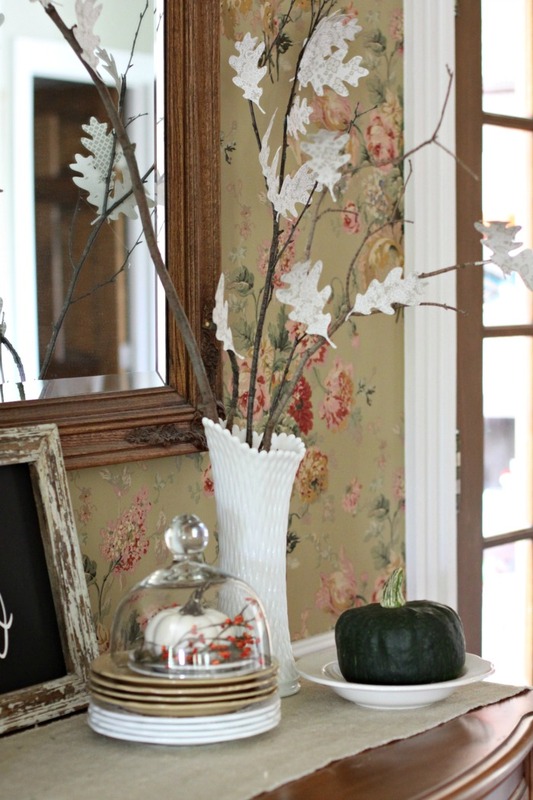 To avoid it, make your own branches with faux leaves of paper. 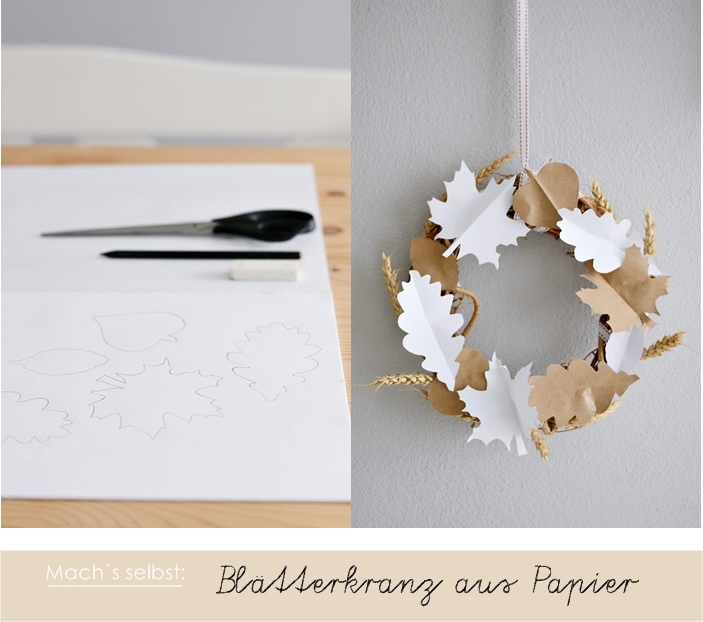 Find beautiful patterned paper and cut out leaves in the shapes that you like. Then glue them to real branches, voila! This simple fall leaf wreath will take just a couple of minutes! 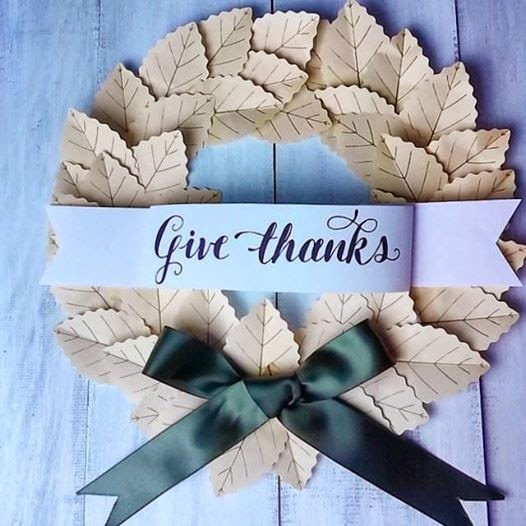 Cut out paper leaves in the colors and shapes you like and attach them to a simple vine wreath. Decorate the whole piece with spikes to make it look rustic. 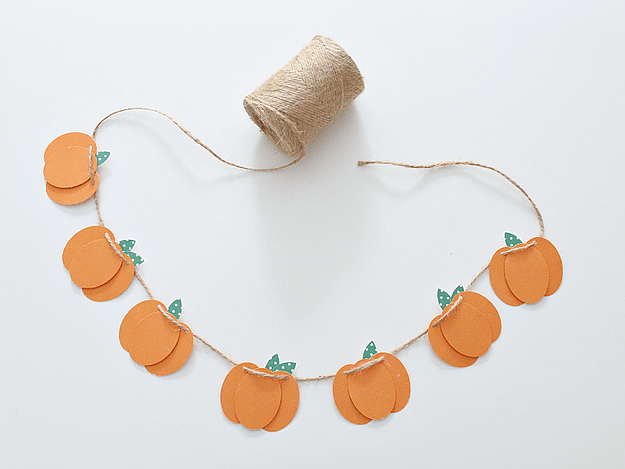 This jack-o-lantern garland will be a nice craft for your kids! Let them cut out jack-o-lanterns of paper, then your kids will have fun painting them in the fall colors. Add a string and voila! Another unique pumpkin craft is here! 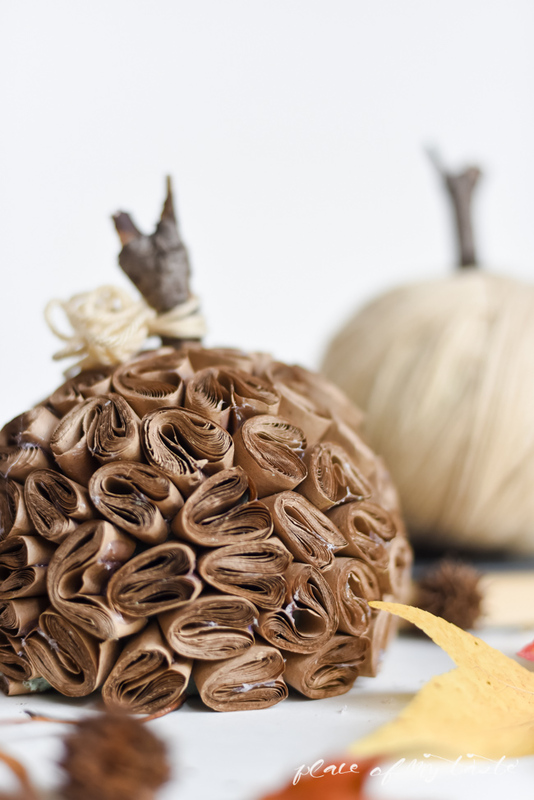 Take a foam ball and cover it with brown paper swirls completely to form a pumpkin-like piece. Add a stem and surprise everyone with the piece. Forgot to make Thanksgiving decorations? Make this last minute wreath of paper! A cardboard circle will be your base, then attach paper leaves and add a sign and a ribbon bow. Enjoy! These pumpkins are fun and awesome! 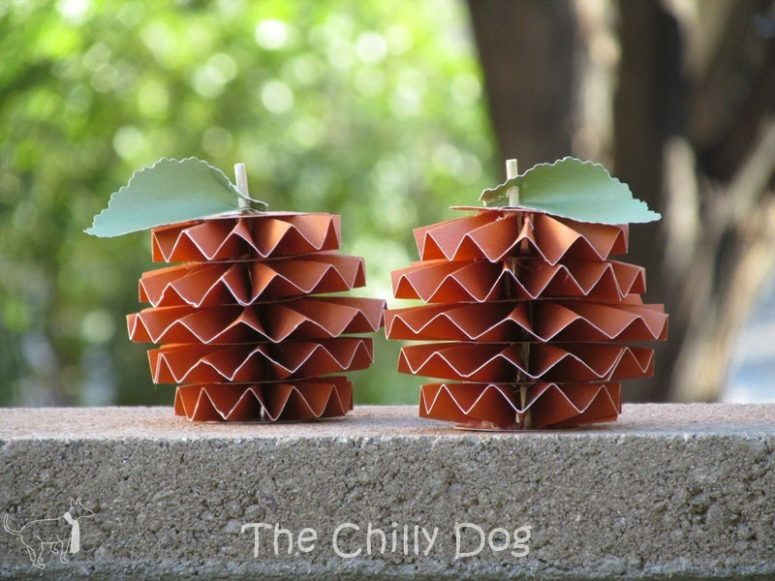 You will need some orange paper and then just fold it and put on skewers. Add leaves and put your pumpkins where you want. A new 3D pumpkin decoration is on! 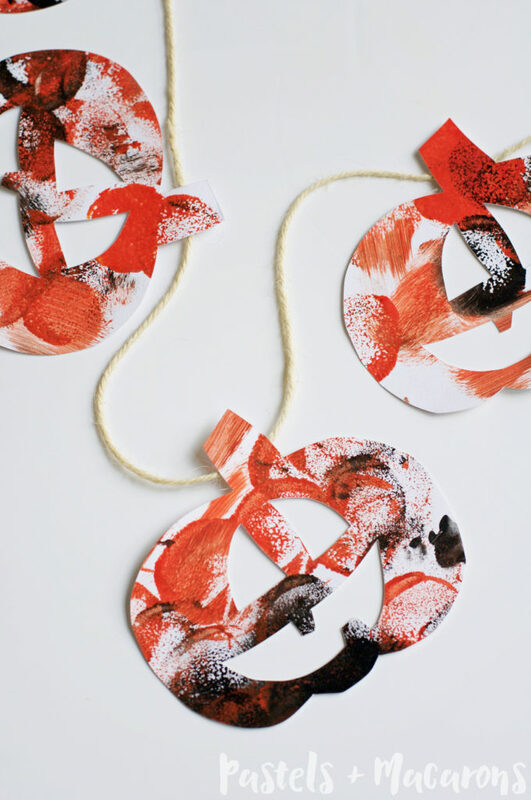 Cut out orange paper strips and then attach them to a string, then just bend them to make a 3D structure. Voila! This 3D pumpkin is even easier to make, the trickiest thing is to cut out a proper flower-looking piece of paper. 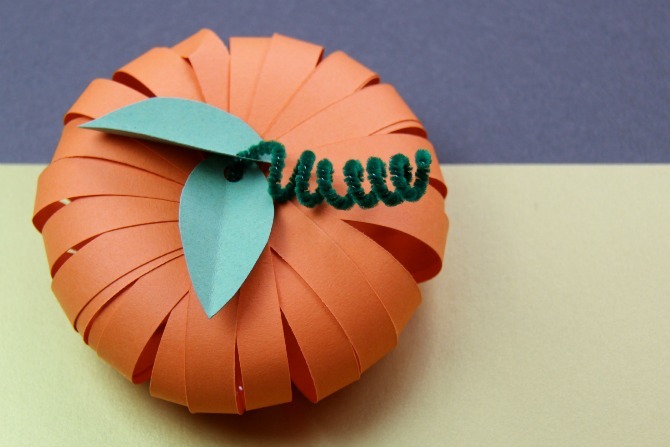 Then just fold the petals to get a voluminous pumpkin and decorate it as you wish. 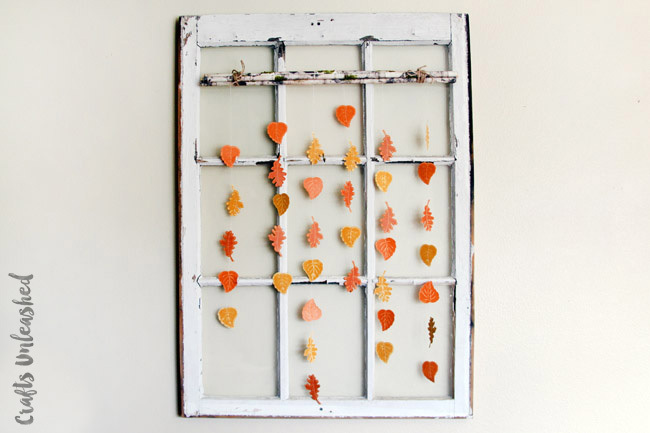 Make some distressed leaves for this hanging and then just attach them to the branches on strings. Voila! get inspired!